Assess the total time available, then look at how it is structured. Is it a block of time or are you meeting for a short session each week? Longer blocks are usually better, but if you are working with a group for short periods once a week, the time in between is useful to absorb information and prepare other work for the film. Initial meetings once a week as ideas develop, research work in-between. Whole days or a two day blocks together when rehearsing, set-building, model-making etc. Longer blocks to actually shoot your film. Then again in post production, shorter time slots can work fine. The main problem with infrequent sessions is momentum. If you are a high school teacher you will know all about this from single lessons, but with film it becomes particularly evident. Look at ways of getting a team back up to speed quickly. If they know exactly what they are doing, then a physical warm-up or focus exercise might be enough. Repeatedly tidying equipment away and getting it out again is an inescapable and potentially frustrating fact of filmmaking life. Use this as a positive by working it into a 'best practice' routine for everyone. Making sure everything is assembled correctly each day, and packed away carefully (all batteries on charge etc.) will lead to a more professional filmmaking team. DO NOT do it yourself after the session. 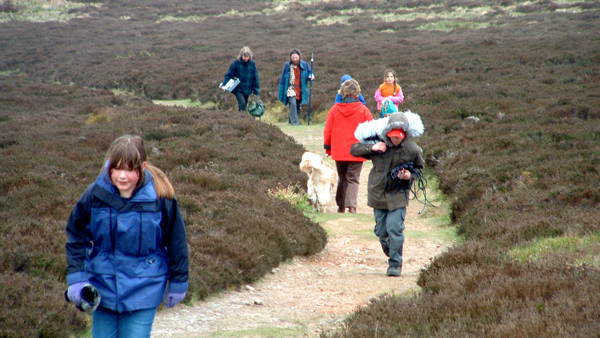 You will have to weigh-up whether the group, depending on their ages and the locations, can go off unsupervised and do things by themselves. If they can't you will need to deal with the reality of working with large numbers of people. These considerations will also affect your choice of film type. 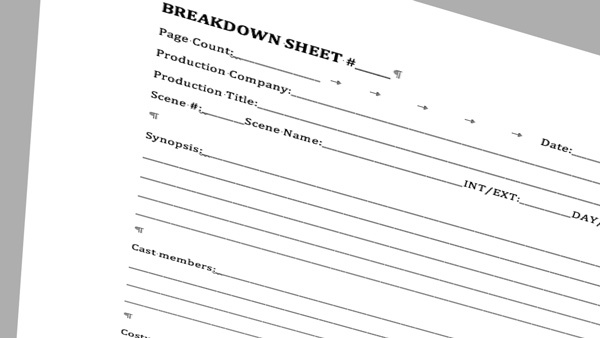 List anything you think is important on the breakdown sheet. If you have more than one location you could consider using different coloured paper to ID each location. Once you have all your scenes onto breakdown sheets you should pin them up on a wall already marked up with columns to represent the days you are filming. This is the basis of a Shooting Schedule. Download our Breakdown Sheet (Microsoft Word .doc file). Its all a bit of a juggling act, which is why we start off on bits of paper which can easily be shuffled about. Having them up on the wall allows everyone to see the plan and make suggestions based on any info they might have. Group your sheets by location or set so that you don't waste time moving back and forth. Sometimes this won't be possible, eg if you only have a short time in that place each day, or if your actors cannot be available at the same time your location is free. Once you have found a schedule that works - tape it down! 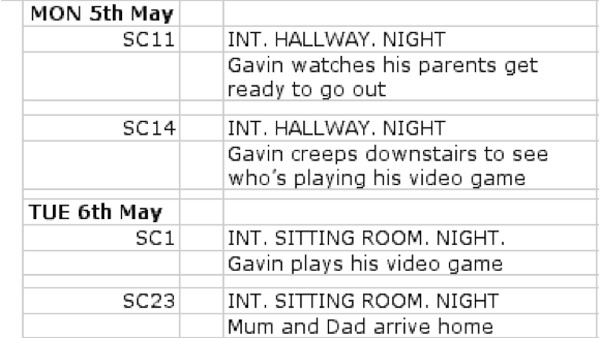 Then transcribe it to fit on A4 which can be dished out to all involved - this is your completed Shooting Schedule. It's basically a list of what's on the wall with less detail. Get students to add in from the big schedule what they are personally responsible for, whether it's props they have to bring in, costumes they should be wearing etc. Once you have a schedule and know what is planned for each day you can start to create call sheets. Call Sheets list call times that tell the cast and crew where, when and what is needed on a single day. Call Sheets are ALWAYS handed out the day before they are needed - it's the production assistant's or co-ordinator's job (along with the 1st assistant director) to make sure the Call Sheet is up to date and issued on time. On a tiny school film, the call sheet might be something copied from the blackboard. But if you're attempting anything of size its amazing how useful a call sheet becomes, everyone knows what's happening without having to ask any questions. Get your production department to do it, but do check it before mass photocopying.